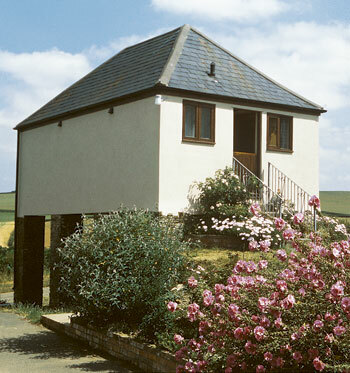 Just 2 miles from Instow's sandy beach (pictured) and enjoying panoramic countryside views, this unusual little property, built on original granary stilts, is set on a child friendly 200 acre sheep and beef farm. 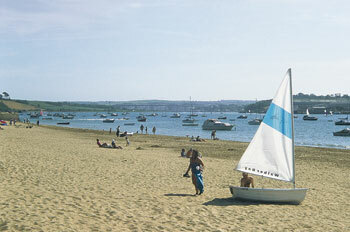 Instow, a charming waterside village, offers sailing, shops, pubs and a range of eating places. Bideford (1½ miles) blends Atlantic Village (a new shopping outlet) with narrow streets bursting with antique shops. From here, boat trips can be taken to Lundy Island and along the spectacular coastline, and bike hire is available to enjoy estuary cycleways. Rosemoor Gardens and Clovelly are within 12 miles. The ebbing tide reveals a broad expanse of sand, backed by dunes at th enorthern end of the beach. The sheltered waters of the Torridge and Taw provide good conditions for water-skiing and sailing, and Instow has schools and clubs for both sports. In summer, a passenger ferry runs to Appledore from the village's small, stone-built quay. Two bedrooms. Seven steps up to entrance hall. Small open plan sitting/dining room with well fitted kitchen area. Double bedroom. Small single bedroom (for + 1). Bathroom/W.C. (shower over bath).